You know what? You are important in the Kingdom of God. I say that, and I would imagine many of you nodding your head in agreement, mostly because you think you should nod. The truth is, I find many Christians who don’t really believe they are important at all. They believe that they’re important enough, or loved enough, to be saved, but they aren’t quite sure what they’re saved “unto”. Because of this, they’ll get to death safely enough, but they will not accomplish much of anything for Christ and His Kingdom while here on earth. And this is the real tragedy of life. If you ask people what tragedy is, many reply “dying young.” But Dr. Kennedy, EE’s founder, would have disagreed. He thought that real tragedy was to live to a ripe old age but do nothing for God. In Genesis 1:26 ESV, God said, “Let us make man in our image, after our likeness. And let them have dominion over the fish of the sea and over the birds of the heavens and over the livestock and over all the earth and over every creeping thing that creeps on the earth.” This is called the cultural mandate. Then later, in the New Testament, He gave us a second mandate: We call it the Great Commission. Everyone knows this, right? 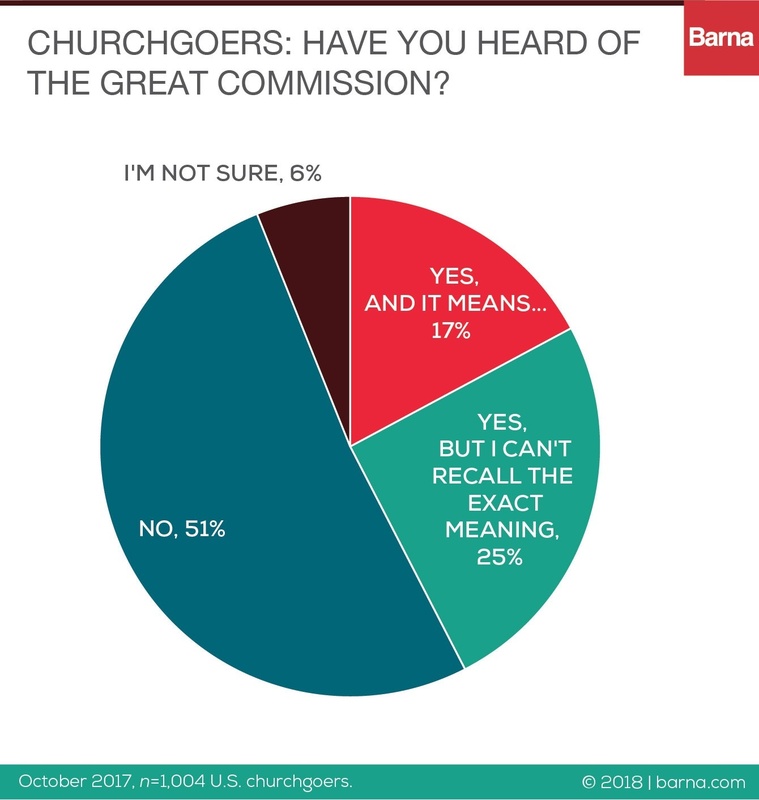 Recently, Barna produced research that should astound us: they found that 51% of the Christians in America had never heard of the Great Commission. 49% said they had heard of it, but only 17% knew what it was. Here’s the thing: the mandate is specific and real. We, as God’s children, are to take the Gospel to every person on earth … it’s a mammoth task, big enough for a hundred lifetimes. So then, if we’re important because we’ve been made in God’s image, and we’ve been given two twin mandates of eternal significance, what is the problem? How can we have Christians who feel like they are of no significance? Well, I think he’s right. Our problem is a lack of vision. So then, here is the question for us: How do we fix this? How do we get a real vision for our importance in God’s economy? How do we get the focus and tools to live our lives in such a way to make this kind of epic impact? Years ago, we started Youth EE, where young people not only learned the Gospel, but often traveled overseas to train pastors to share the Gospel as well. In more recent years, we’ve developed specific intern training, taking young people around the world to consider mission, and gather the tools needed for a successful life in Christ’s service. Recently, we’ve developed a new focus for youth called EE Changemakers. We not only plan to train young people to share their faith and give them time and space to consider God’s call on their lives, we are now matching them into a mission station where they can spend up to two years making a real and lasting difference in the Church and in the Kingdom of God. This is our topic this week at Evangelism Explosion. Please pray as we encourage each other to be faithful “world changers” for Jesus Christ! We have website we’ve developed for you to find out more. Just go to ShareLife.Today and look for the link to the EE Changemakers website, and then help get some young people in your life engaged, and on mission. May God bless you richly as you do! 3 Responses to Are You a Changemaker?